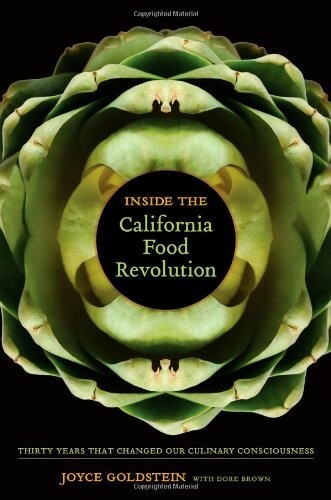 In this authoritative and immensely readable insider's account, celebrated cookbook author and former chef Joyce Goldstein traces the development of California cuisine from its early years in the 1970s to the present, when farm-to-table, foraging, and fusion cuisine are part of the national vocabulary. Goldstein's interviews with almost two hundred chefs, purveyors, artisans, winemakers, and food writers bring to life an era when cooking was grounded in passion, bold innovation, and a dedication to "flavor first." The author shows how the counterculture movement in the West gave rise to a restaurant culture that was defined by open kitchens, women in leadership positions, and the presence of a surprising number of chefs and artisanal food producers who lacked formal training. California cuisine challenged the conventional kitchen hierarchy and dominance of French technique in fine dining, she explains, leading to a more egalitarian restaurant culture and informal food scene. In weaving the author's view of California food culture with profiles of those who played a part in its development - from Alice Waters to Bill Niman to Wolfgang Puck - Inside the California Food Revolution demonstrates that, in addition to access to fresh produce, the region also shared a distinctly Western culture of openness, creativity, and collaboration. Wonderfully detailed and engagingly written, this book elucidates as never before how the inspirations that emerged in California went on to transform the eating experience throughout the U.S. and the world.